Gibney proudly offers customized, immersive programs for groups visiting New York City. Designed to provide a glimpse into the professional dance world and sustainable careers in the arts, the Group Study program offers technical training and addresses pressing issues in the field. Group Study offers groups of dancers the opportunity to select a series of classes tailor-made to fit the needs and aspirations of their dancers or programs. With access to the highest quality of teaching excellence and experienced working artists, Gibney provides master classes, panel discussions, exclusive dance experiences, and a curated performance schedule for your students. 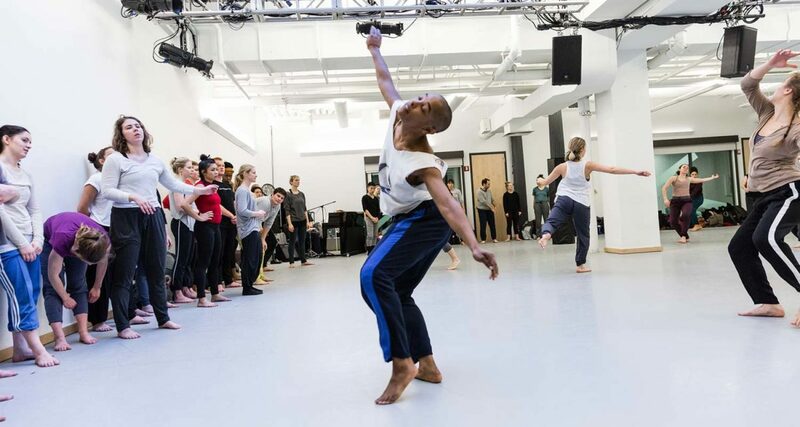 Hosted by the dancers of Gibney Dance Company in our beautifully renovated artistic centers, this experience is ideal for visiting universities and dance groups looking to learn about the NYC contemporary dance scene. Learn about our custom residencies for you and your students. Contact us to schedule your visit at Gibney. Contact our preferred travel vendor, Director’s Choice, to arrange your travel and hotel accommodations.